Android Apps on Sale for 23 January 2014: VNC Viewer Is Free! Each week we scour current Google Play promotions and cherry-pick the best of the best. This week we’re heavy on utilities, from a VNC viewer to a collage maker – but there are also a couple of games in the running. VNC Viewer is this roundup’s big surprise, and the biggest reason to share it right now: It suddenly went free, down from $10. Nobody’s really sure why, or when RealVNC will suddenly remove the app or find a way to hike the price back up to $10… But for now, it’s yours for the taking – just click that link and press the Install button (and don’t forget to share this post with your VNC-using friends). Even if you don’t use VNC right now, this is a great time to snag this app – once you click Install you will just own it, so you can install it any time you want to. This is a big deal not just because of the sudden drop, but because VNC Viewer is genuinely useful – it is a good way to remote control Windows, OS X, and Linux computers from either a tablet or a phone. Next up we have a more intentional-looking discount: Blend Collage lets you create nice looking collages by applying partial opacity masks to images. The above video might not be to everyone’s taste (that’s what happens when you use stock images for your video), but the result can be quite Instagram-friendly. If you’re stuck on a TouchWiz phone and yearn for a dialer that looks like the stock Android one, Swipe Dialer Pro has you covered. This is basically a carbon copy of the Android dialer (the one before Android 4.4). It doesn’t add much functionality on its own, which may be a good thing if you’re just looking for the AOSP dialer. It’s a pinball game! And it glows! Has its own level designer, too, as well as a two-player mode using the same device. That may not be so useful on a phone, but can be fun to play on a tablet. The game comes bundled with many tables, and plugs into Google Play Games for achievements and leaderboards. A 3D dungeon crawler, Archangel requires a powerful device. It also takes up to 400MB of space, and plays best on a tablet. The story is fairly routine – the forces of evil are rising, and you have to stop them (stop me if you’ve heard this one before). What makes the game is the design, as well as a touch-first control system that doesn’t assume you have a dedicated controller hooked up to your Android tablet. Choose your own adventure! Down from $6 to just a buck, if you’ve been curious about Gamebook Adventures titles you’ve seen in previous sale roundups, this is a good chance to snag it. Despite this being the third installment in a series, the developer promises you can use it as a starting point without having played the previous ones first. You can also place bookmarks as you make choices during the game, and trace back your steps to try different choices. A retro-looking side scroller starring a chicken… and a cowboy. In terms of gameplay, The Chicken Bandit doesn’t really break much new ground, so it all boils down to the graphics and style, which you can see in the video above. This sort of low-fi retro game is an acquired taste, but the game is well-reviewed, with a 4.5-star average out of 112 ratings. "Because app sales are temporary affairs, by the time you read this, these may no longer be on sale. Worry not: Simply check back next week for some more Android deals!" Actually many of these sales remain live for several days after we publish the post. Try clicking the links to the apps, you may be pleasantly surprised! Thanks for the list Erez! Grabbing the Slaves of Rema game. 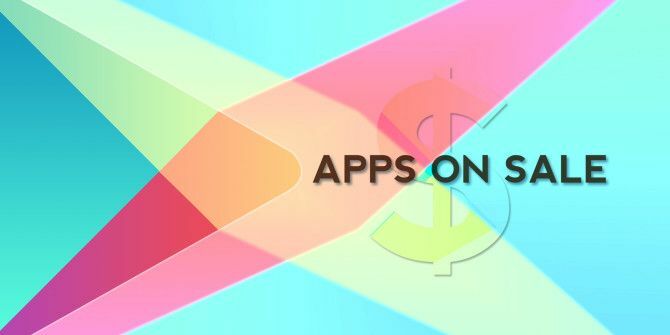 (1) Play store terms does not allow any app which is free to become paid at any point of time. Reverse is allowed though. Of course, in-app purchases are not covered here. So, if RealVNC needs to make the app paid again, they will have to either make it an in-app upgrade or a separate Pro/Paid version. (2) Spelling Nazi Alert: I believe it is "remote control" and not "remove control"
(1) What they could do is pull it off the store -- that's what I meant. I updated the post to reflect that. (2) Oh no, I totally meant "remove control"... That's a technical term I just made up. :) Fixed, thanks for the heads up!